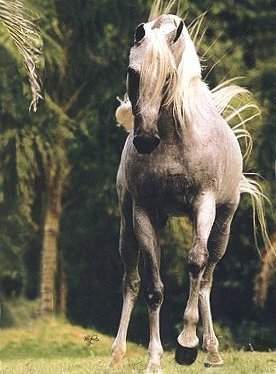 Dear friends of the Arabian horse ! Presentation of Straight Egyptian Arabian horses. At last year's show the presented horses were absolutely beautiful and they could have participated in any great European show. We were happy that these events again turned out to be so successful. A show for straight Egyptian Arabians is particularly meant to set forth the distinctive features and characteristics of the pure Egyptian Arabian.